Summary: This hike circles the Sedona airport. Description: This loop hike provides great views of Cathedral Rock. Be sure to hike the Tabletop Trail about 0.5 mile to its end. 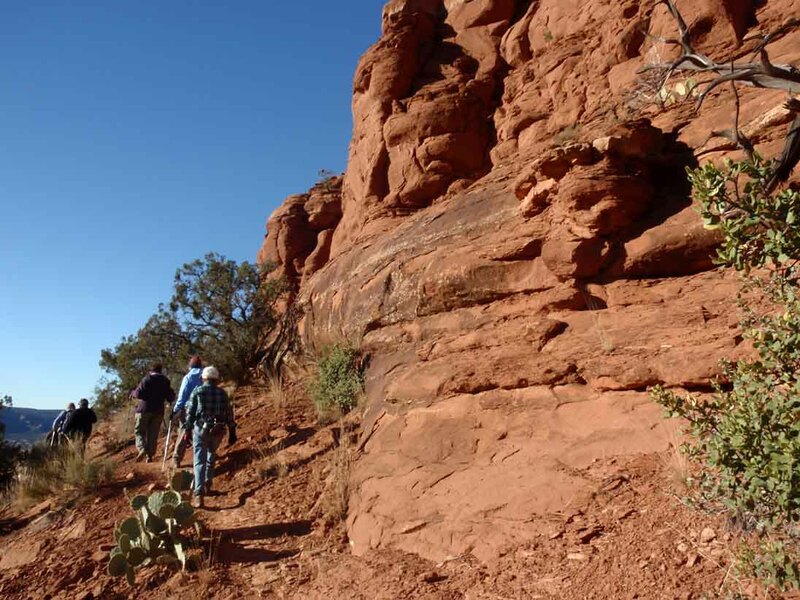 There seems to be a pyramid-shaped red rock formation out at the end of the Tabletop Trail. Were we visited by aliens many thousands of years ago???? The hike provides nice views of Coffeepot Rock on the north side of the hike. Here is a link to a video of a Airport Loop hike. From the Airport Road trailhead, it is a short hike to the vortex located here. See the Airport Vortex Hike. Note: The Airport Loop Trail is very rocky and there are steep drop-offs on the south side of Airport Mesa. Don't attempt this hike if a narrow trail and steep drop-offs are a problem.